Hemiscyllium is a small genus of benthic sharks with nine recognized species, most of which are uncommonly encountered, both in the wild and in captivity. 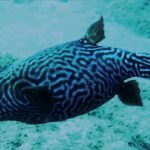 But, despite this rarity, these fishes are popular in the aquarium trade thanks to their small size, ornate patterning and relatively peaceful demeanor. There’s a lot to like about these lilliputians, but I want to focus today on their remarkable evolutionary history, which was recently reviewed in a fantastic new paper covering the group’s biodiversity. 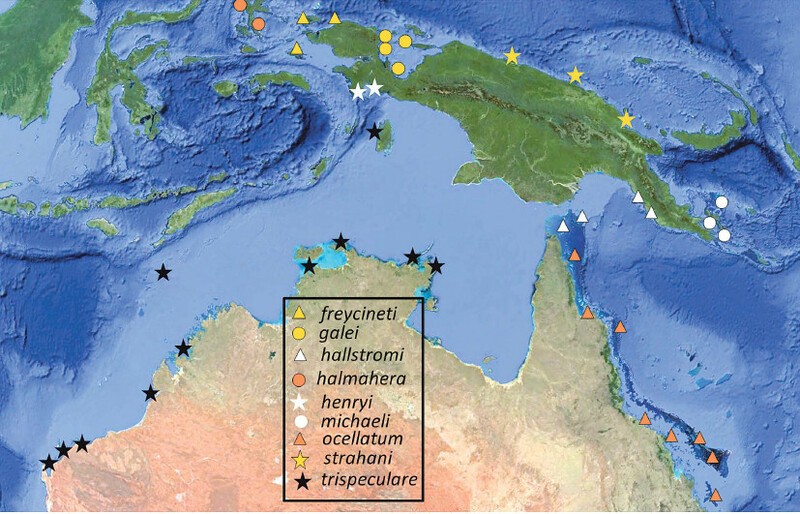 Hemiscyllium species A) H. freycineti, B) H. hallstromi, C) H. galei, D) H. trispeculare, E) H. ocellatum, F) H.
The genus has an unusual distribution among reef fishes, being restricted almost entirely to Australia and New Guinea. These two landmasses were formerly connected by the Sahul Shelf, which now lies beneath the Arafura Sea and Torres Strait, submerged under 100 meters of silty tropical waters. But during periods of glaciation, when sea levels were markedly lower, this region would have been exposed, creating a single landmass that must have forced speciation to occur along a latitudinal (i.e. east-west) gradient. We see this general pattern in many different marine groups (flasherwrasses, anemonefishes, dottybacks), but perhaps nowhere is it so evident and so geographically linear as with the Epaulette Sharks. Morphologically, these species are all quite homogeneous and differ mostly in their color patterns. With the exception of the Australian populations, most species have fairly small natural ranges which are delimited by ecological barriers, such as rivers, mangrove forests or deep ocean water. The likely reason for their immense diversification is the unusually poor dispersal ability these fishes have in the wild. Like many sharks, Hemiscyllium are presumed to lay large, benthic eggs, and, unlike other fishes that can actually swim, their unusual crawling behavior severely limits the distances they can travel from one location to another. 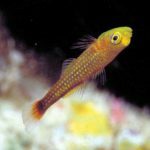 We see this same phenomenon recur in several other groups which have diversified along these lines—Pictichromis dottybacks, the clarkii anemonefish group, the Chrysiptera hemicyanea group of damselfishes—all of which lay demersal eggs that hatch into short-lived pelagic young. On the other hand, groups that have pelagic eggs tend to be more vagile, and, in turn, are able to spread over larger areas, limiting this sort of endemism. 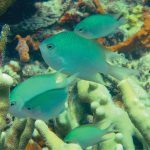 But this isn’t always the case, as exceptions can be found, like with the speciose Chaetodontoplus melanosoma group of angelfishes or the Paracheilinus filamentosus group of flasherwrasses. Little research has been done into why these patterns and discrepancies exist, but no doubt the explanation will be found by comparing the life history details of these distantly related groups. Though more widespread, the Parachilinus filamentosus flasherwrasses show many similarities in their distribution. 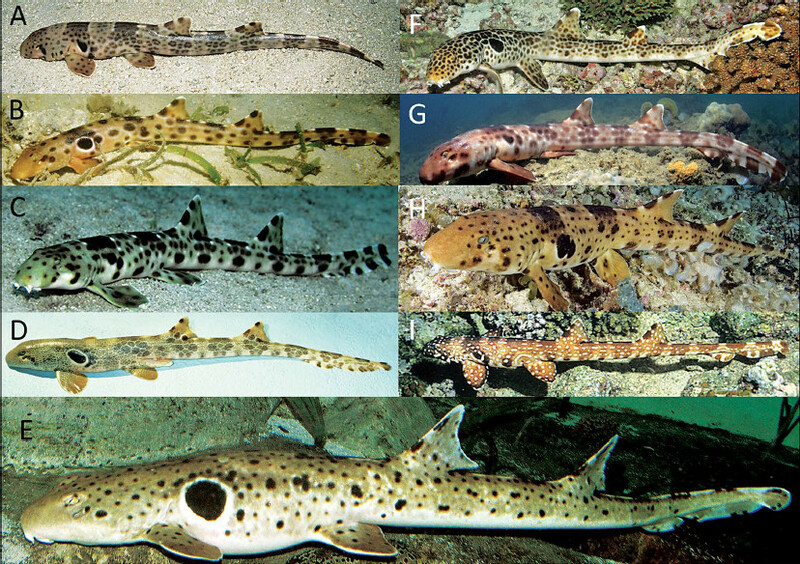 The evolution of Epaulette Sharks may ultimately prove to be quite informative when it comes to our understanding of how these reef fish complexes speciated, particularly for the many poorly understood taxa found along New Guinea. Why is Paracheilinus nursalim found around Triton Bay? 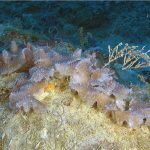 Why is Pictichromis aurifrons only known from Southeastern New Guinea? Why are Chrysiptera giti or Amphiprion milii found where they are? These questions are all interrelated, and the better we can answer one, the better we can understand them all. 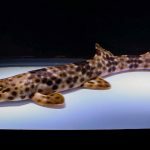 Like the famed finches of the Galapagos Islands, the unique speciation of the Hemiscyllium sharks has the potential to open our eyes to the historical processes that worked to create the incredible biodiversity of the Coral Triangle. Allen, G.R., Erdmann, M.V., White, W.T., Fahmi & Dudgeon, C.L. 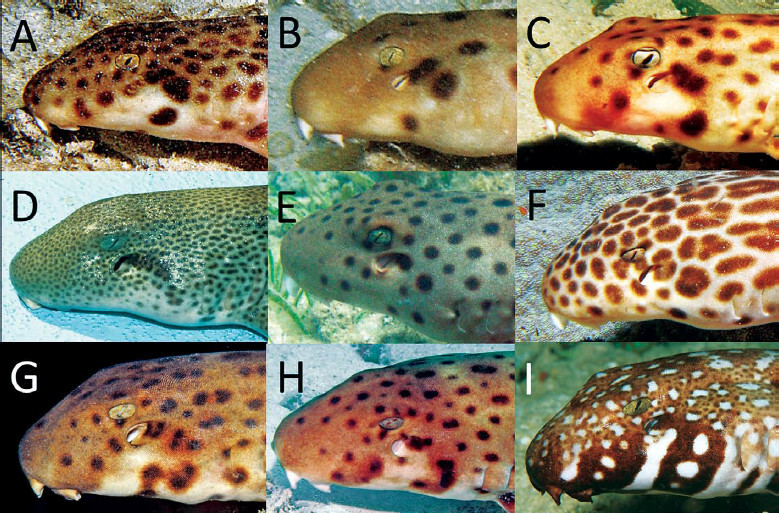 (2016) Review of the bamboo shark genus Hemiscyllium (Orectolobiformes: Hemiscyllidae). Journal of the Ocean Science Foundation, 23, 51–97.